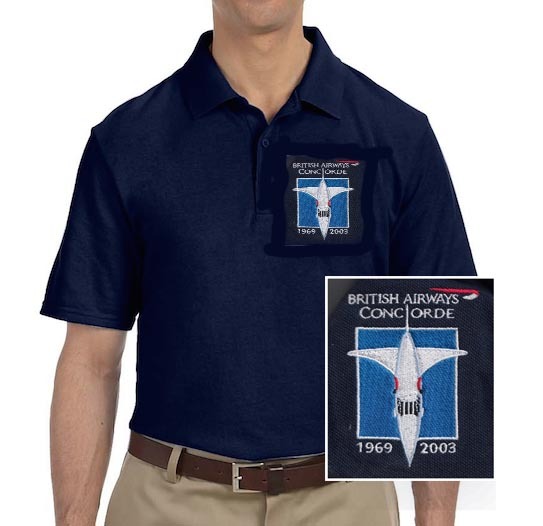 The Classic British Airways Concorde Shirt with long sleeves! 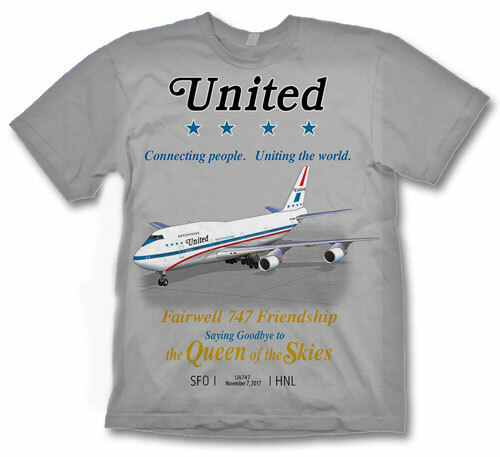 This one has the front of the Concorde taking off in shades of blue, including a sleeve print! The back says "Our Best Time" 2:52:59 (New York to London, that is) and the British Airways logotype, "Concorde", and "British Airways". Printed on a heavyweight 100% Cotton Navy Blue shirt.